Looking for Affordable Websites Albuquerque? I specialize in producing mobile-friendly web design for small and medium businesses. Your business website is your most inexpensive advertisement which once set up with proper SEO, does the promotion for you, by getting you on to page 1 or 2 with Google, Bing, and other search engines. I will help you select long-tail key phrases which will distinguish you from your competition. 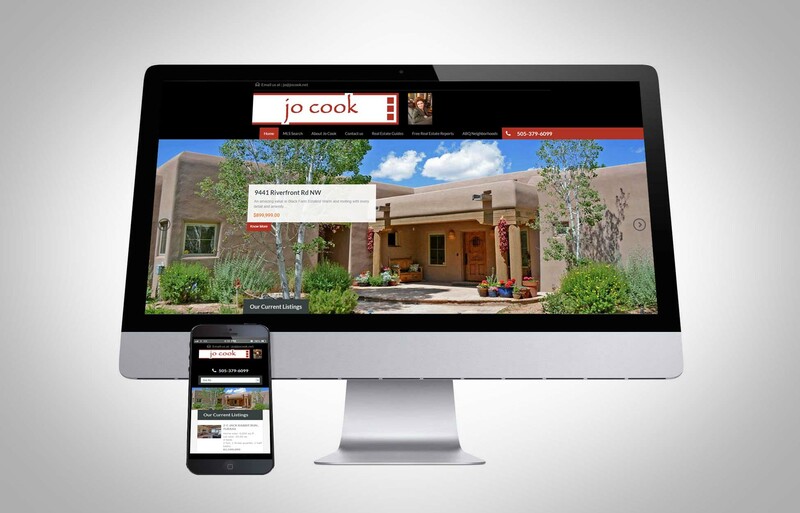 Jo Cook Real Estate Broker The client wanted a wide-format presentation to showcase properties. This mobile friendly WordPress site was built with Real Homes Theme, and the Diverse Solutions IDXpress plugin to provide an ad hoc Multiple Listing Search form and saved-searches for particular cities and communities. 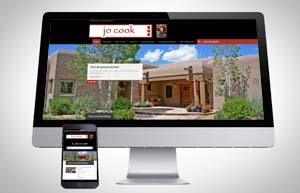 The theme and plugin combination facilitated an easy and economical build with minimum customization necessary for one of Albuquerque’s leading real estate brokers. SEO included 301 redirects of deprecated pages from the 13 year old former site minimize loss in Google ranking. Mark Beyer, Comic Book Artist The Artist and author wanted to feature his work for sale and display. Theme is the mobile friendly E-Shopper Pro theme, well supported by Cyberchimps. 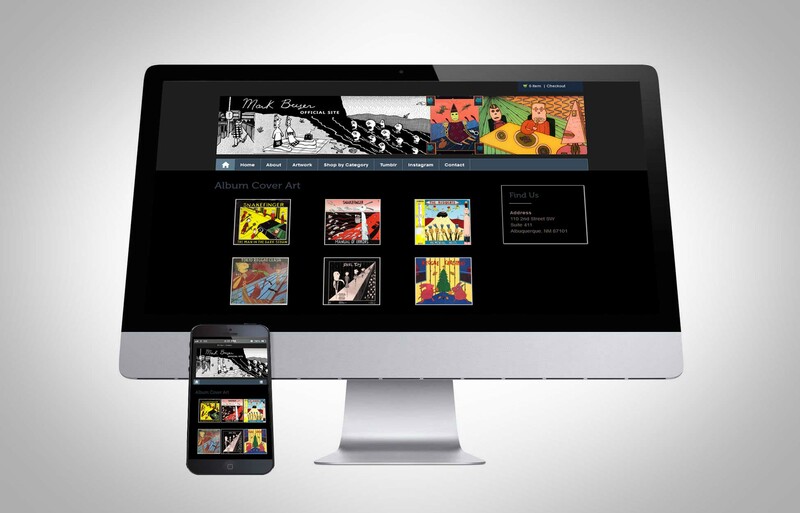 A rich archive of comics, album cover art, paintings and drawings offered abundant stimulating and entertaining content for the site. Features and functionality include Woocommerce free shopping cart plugin using Paypal, Foobox Image Lightbox and Foo Gallery to provide full-resolution popup galleries. SEO strategy and mission was to rise above the myriad of resellers of his work and extensive web presence of his imagery going back 35 years. 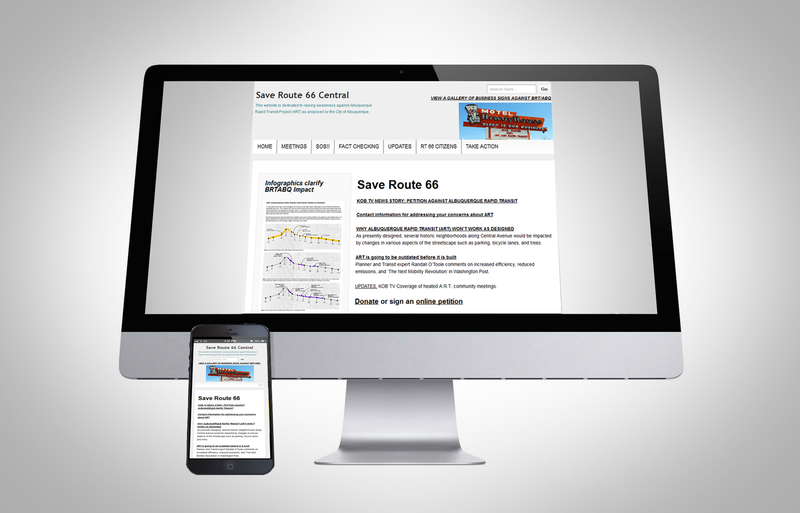 SaveRT66.org Political action website to present issues, facts, TV news videos, and web links regarding a proposed transit development project in Albuquerque, NM. I built a front-end, mobile-friendly website in WordPress including multi-media, video, contact forms, petitions, images & text, and fundraising via Paypal. Customization of responsive WordPress theme included extensive CSS formatting for alignment, spacing, and clean appearance. SEO optimization; within a year the site was page one Google results in several competitive search key phrases, and monthly pageviews in the thousands. Set up Google My Busines page, Bing Places for Business, Youtube channel, Facebook page to boost social media presence. 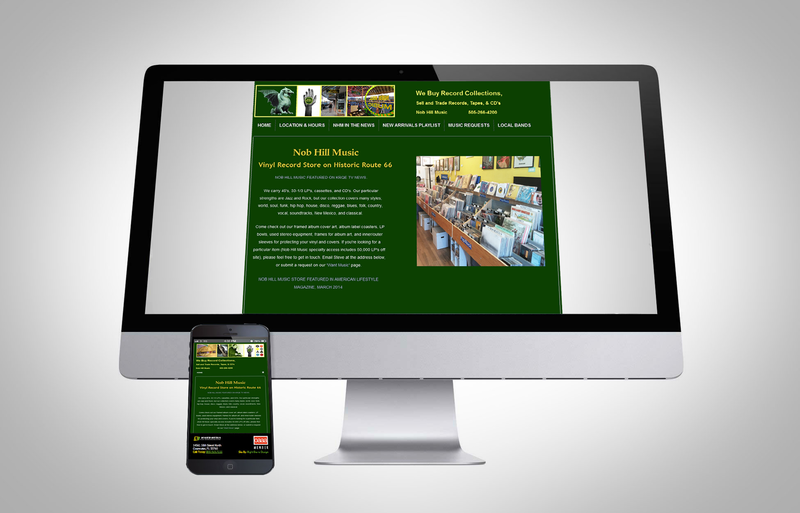 Nob Hill Music Founded in 2010, this vinyl record store required a fun, engaging website which would serve as a showcase for the store’s personality and build a community through social media. The job involved taking a set of logos, the brick and mortar storefront and merchandise, and creating a program of branding and identity development. Leveraging store’s sponsorship and promotion of local bands and accumulated good will, store has built up a solid following and top search results in local and regional searches. (Sample search) The current process for the site is transitioning from a Dreamweaver, HTML based architecture to a mobile WordPress platform and adding SSL functionality. Multi-faceted SEO effort has page one Google results in most relevant searches. 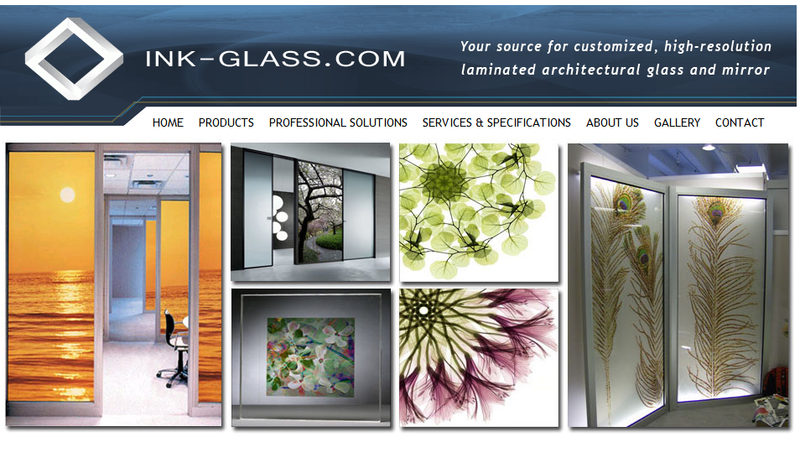 Ink-Glass.com Marketing showplace for architectural glass design and manufacturing enterprise. Job involved logo creation, branding, and identity development. 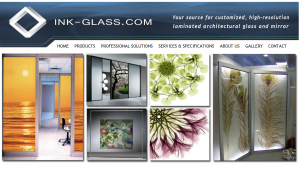 Incorporated extensive imagery and textual content to sell the products to decorators, architects, builders and resellers. Extensive generation of Photoshop simulations to augment the client’s existing product imagery. Also branding, logos and creating an identity for a virtual company, and generating copy to assist the completion of the website. Slideshows, contact forms, search engine optimization and analytics tracking. 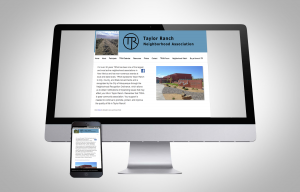 Taylor Ranch Self Storage Mobile redo of website to bolster Google rankings and improve customer experience. 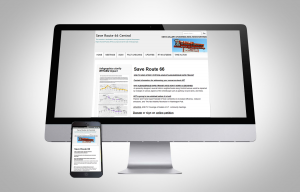 Client wanted new site to exactly match his prior site on desktop, with a customized appearance on mobile and tablet. Successfully implemented a site with clean appearance across platforms, with custom CSS including multi-threshold media queries, elements appearing or not appearing depending on viewing device. Google rankings for competitive search phrases remained high or improved, due to ‘Mobile Friendly’ rating, improved pageload speed, and addition of SSL certificate. Sample search for “self storage west albuquerque nm”. Other features of the site include on-line payment using ‘Sitelink’ portal, multi-media, and social promotion via ‘claiming’ and curating presence on ‘Google Local’ (Plus), Bing Local Places for Business’, Yelp, Manta, Citysearch, Whitepages.com, YP.com, and several others. 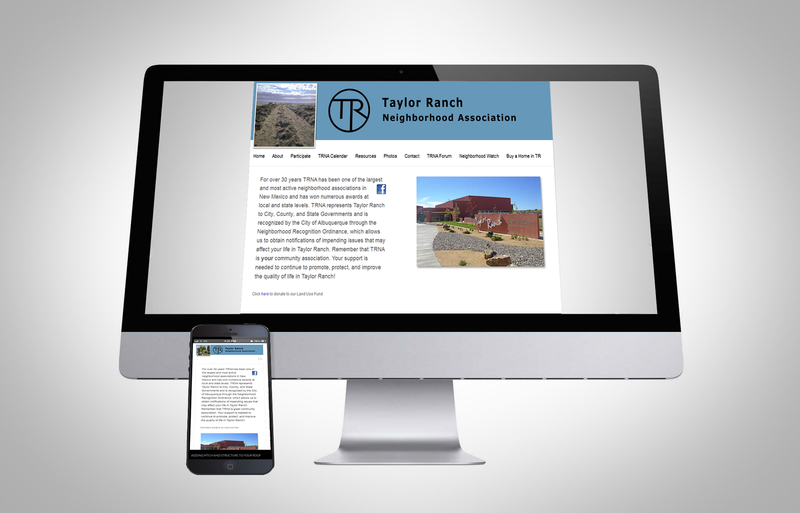 TRNA.org Working largely autonomously, adapted existing content, created new content, re-organized 12 year old website into a contemporary, inviting neighborhood association WordPress website. Custom contact forms, discussion forum, Paypal Donation & Registration forms, extensive instructions & procedure manual to allow updates by member volunteers.